Effective grading and drainage are crucial to landscaping, both in the initial process and in maintaining the land afterward. Well-developed landscape grading not only allows for better development on the surface but also improves soil quality. Conversely, if this is neglected, the result can be damaging to your home, lawn, garden and more. Learn how to identify draining and grading issues so you know when to find professional help. The presence of one or more of these is a good indicator that runoff is not able to drain properly. The causes can vary from dense soil that cannot absorb water to gutters or downspouts getting clogged to a high water table or water pooling in lower sections of the yard. Landscape grading is important to manage for various reasons; one of these is how grading can improve or hamper draining. Naturally, water will flow according to how gravity directs it, and this always means downhill. A yard sloped to lead towards a building is a red flag: water will collect there and threaten the foundation, so addressing it should be a top concern. Grading can be used to your favor, though, by adding landscape features such as swales that accumulate water and then direct it away. Heavily packed soil and high water tables are usually not easily managed directly, but proper landscape grading can still provide a solution to keep your property from getting waterlogged. 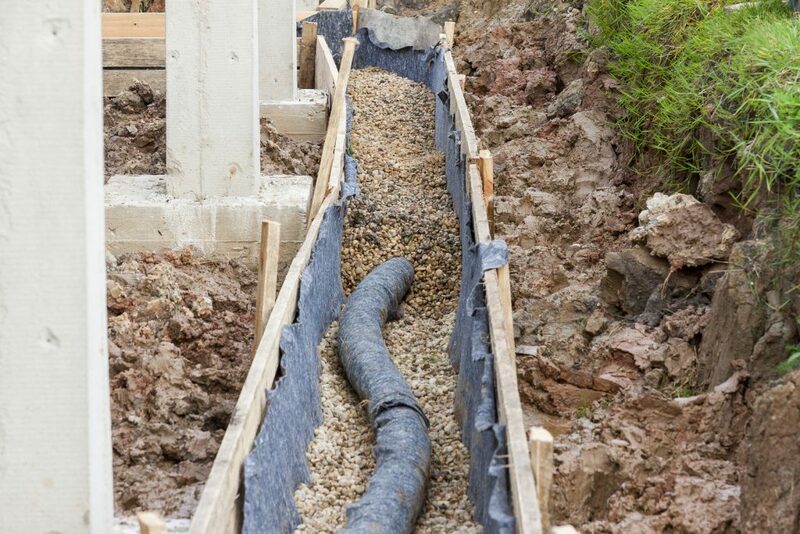 If you find signs of current or probable drainage issues, consult with a local contractor for help. Adding or moving soil can mitigate troublesome slopes and help preserve your property. Land clearing is often a necessary service to permit land development, but the impact on the local environment is a common, and justified concern. Amid worries about deforestation, the traditional cut and burn method is seen as reckless and wasteful. Fortunately, it’s possible to clear land in more productive and responsible ways, and you can find local contractors up to the task. Burning and bulldozing often leave the land damaged for years to come. Even controlled fires can degrade soil quality and produce harmful smoke, and there is always the risk of the fire escaping containment. Bulldozers, meanwhile, destroy vital topsoil and leaves behind deep holes where trees are uprooted; much additional labor is necessary to make the land suitable for development, let alone for wildlife. Responsible land clearing methods take more care in how they affect the local environment. One of the most common methods is forestry mulching. The mulcher machines used can cut, grind and clear away trees and brush effectively, leaving the soil quality untouched. The roots left behind, as well as the mulch byproducts, allow nutrients to be returned to the soil as well. With some trees left behind and the soil undisturbed, the land can be allowed to regrow properly. What can land clearing services do for your residential or commercial property? Besides offering space for further development or landscaping, the benefits extend into safety and property value as well. Clearing away brush and debris improves the aesthetics of the lot, which can help build equity for homes or attract clients for businesses. The cleared land is also easier to maintain and keep free of litter afterward, and in dry climates, it mitigates possible fire hazards. With the equipment, expertise and precision required for environmentally-minded land clearing, it’s wise to turn to a respected contractor. Research what services your local contractors offer and what other clients think of them. This will help you find the means to clear your lot while leaving it looking attractive and healthy. Steep slopes on your property can create a fair share of landscaping issues. They’re often inconvenient to navigate or build on, and especially steep slopes with exposed soil can be at risk of erosion or collapse. Retaining walls present a solution: a rigid structure built along a lateral face of soil to hold it in place and create two regions of different elevation. Invaluable in landscaping, retaining walls both support terrain and add additional style to the scene. Though the designs can vary, retaining walls all have the same primary purpose of keeping a slope of soil in place. The wall is anchored into the ground by a footer to secure it against the pressure of the retaining soil. Additional anchors such as a cantilever or cables driven into the retained soil are often used as well. A drainage system ensures water does not build up behind the wall and add to the weight it must retain. For a stable, long-lasting retaining wall, the materials used need to be sturdy and high-quality. Concrete, poured into the desired form, provides excellent stability and can also be cured and sealed to make it harder. Some retaining walls may use natural rock, brick, paver stones or even treated wood for the visible face to make it more appealing. These walls, though, still require concrete as a footer, and some might need a secondary concrete wall behind it for support. Retaining walls have little room for error in design and construction. They must be able to match the lateral earth pressure they’re holding back, taking into account the soil slope, composition and ground water content, as well as building material properties. Also, most municipalities require that the wall is approved by a licensed engineer because of this. Hiring a reputable contractor ensures that your retaining wall will meet the necessary standards. A patio is the perfect place to wind down after a long day. You can sit outside with a drink and enjoy the sunset with your family. If you do not already have a patio, the installation of one can allow you to more easily enjoy your backyard. There are many types of materials used to construct a patio, but by far the most common are brick and concrete. Both a brick patio and a concrete patio have advantages and disadvantages. Before deciding on what type of patio you want, you should learn about the differences. Your home is your castle and your driveway is the first impression people have of your home. 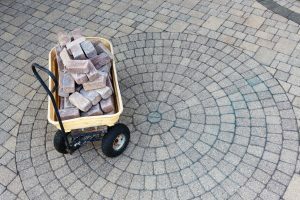 There are many choices when it comes to material, however, a concrete driveway is hands down the best option for an impressive, low maintenance driveway. Here are some of the reasons why you should opt for concrete. 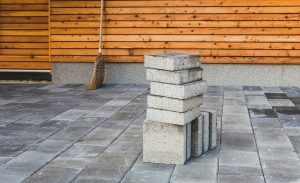 Concrete is more expensive than asphalt and gravel, but it is much more durable and can last anywhere from 25 to 50 years with proper maintenance. The main function of a driveway is to bear vehicles and concrete is the material of choice for many roads and bridges – it can definitely handle family cars. Unlike other materials, concrete is low maintenance. While it can crack in harsh weather conditions, applying sealants once a year can stave off this problem. A concrete driveway is easy to clean and removing snow is a breeze. 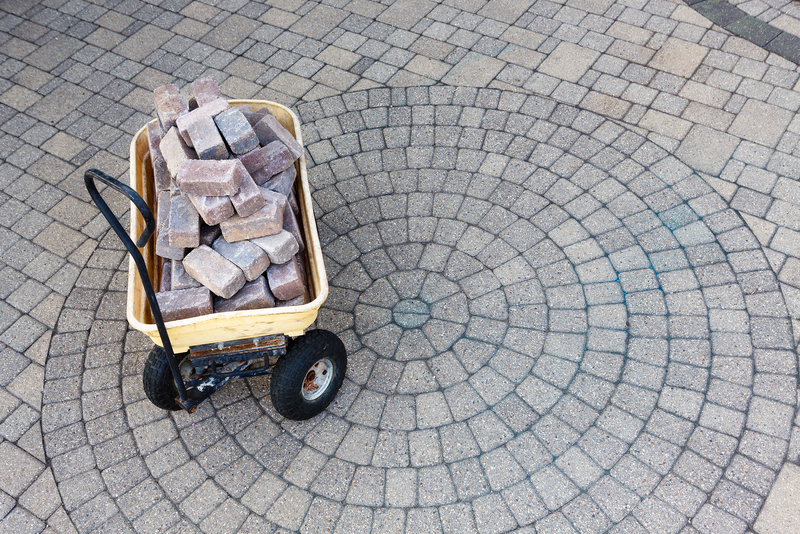 Gravel and asphalt need much more upkeep as do more expensive options such as cobblestone and brick. Installation of concrete can be tricky but is a quick process. It generally requires a crew as the land has to be prepped and excavated. The material has to be mixed on the spot and hardens quickly after it is poured. Once installed, application of a yearly sealant before winter is all you need. In it’s basic form, concrete is not as attractive as other options. However, concrete is highly customizable. You can have your concrete stamped with a design or even stained to match the colors of your house. With stamping, concrete can look like a rustic wood floor or the cobblestone streets of an old European village. 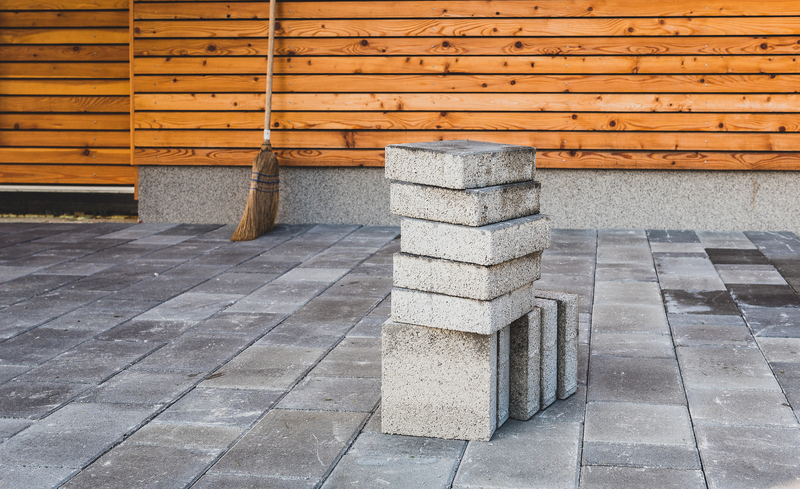 In terms of durability, value and aesthetic, concrete is the best option for homeowners looking to update their driveway. A concrete driveway is practical, doesn’t require a lot of care and can be beautiful with the right design aesthetic. If you’re looking to upgrade your home’s outdoor space, the natural look of flagstone is an attractive flooring option. Flagstone is versatile in that it can be used for many types of projects, and its rough surface provides great traction. Here are some tips to keep in mind when designing your patios and walkways with this type of stone. The foundation of your home is, as one would expect, a vital part of keeping your home together and safe. If there are problems with the foundation, it could cause problems throughout the entire household. One common type of foundation is masonry, although it isn’t the best for every occasion. If you do decide to use it, you want to make sure that you are choosing a quality company that can help you. Here are some things to look for in the right company. You may not realize it, but the concrete foundation of your home can in many ways be one of the most important parts of the home. After all, a faulty foundation can cause a variety of problems, such as flooding and even damage to the support of the rest of the home due to shifting. When creating or repairing a foundation, there are some considerations that you may want to make to help it stay strong so that you do not have problems down the line. Here are some examples.